White sapphire, or colorless sapphire, is pure corundum. Corundum is often found in igneous rocks such as granite and metamorphic rocks such as marble or mica schist. It lacks the inclusion of chromium that makes a ruby red and the combination of iron, chromium, and titanium that makes the more familiar blue sapphire blue. White sapphires are prized because they resemble diamonds when they are cut, polished and faceted but are far less expensive. Like purely colorless diamond, purely colorless sapphire is rare. Most have the tiniest bit of color in them. A colorless sapphire that contains needles of a compound called rutile may exhibit a star effect, or asterism. These sapphires are often not faceted but cut as cabochons, which means they are cut into domes and polished so that the star effect can be better seen. Pure aluminum oxide is Al2O3. Like other sapphires, the white sapphire has a hardness rating of 9 on the Mohs scale. Only diamond, which is rated 10, is harder but white sapphire is brittle. It has a six-sided, or hexagonal crystal system and the crystals are often barrel-shaped when they’re found. Colorless sapphire has a refractive index of 1.76 to 1.77 and has a birefringence of .0008. The RI measures how light bends when it enters the mineral. Birefringence is the difference between the very highest and very lowest RIs. The specific gravity is 3.9 to 4.1, and the diaphaneity is transparent, translucent or opaque. White sapphire is a fairly tough stone if it doesn’t contain too many inclusions. It has a bright, glassy or pearly luster. White sapphire has no cleavage, which means it does not break along a certain plane. However, it is subject to parting. This means twinned crystals of corundum can split apart or a single crystal can split along stressed lines. It leaves a white streak when run over a streak plate. 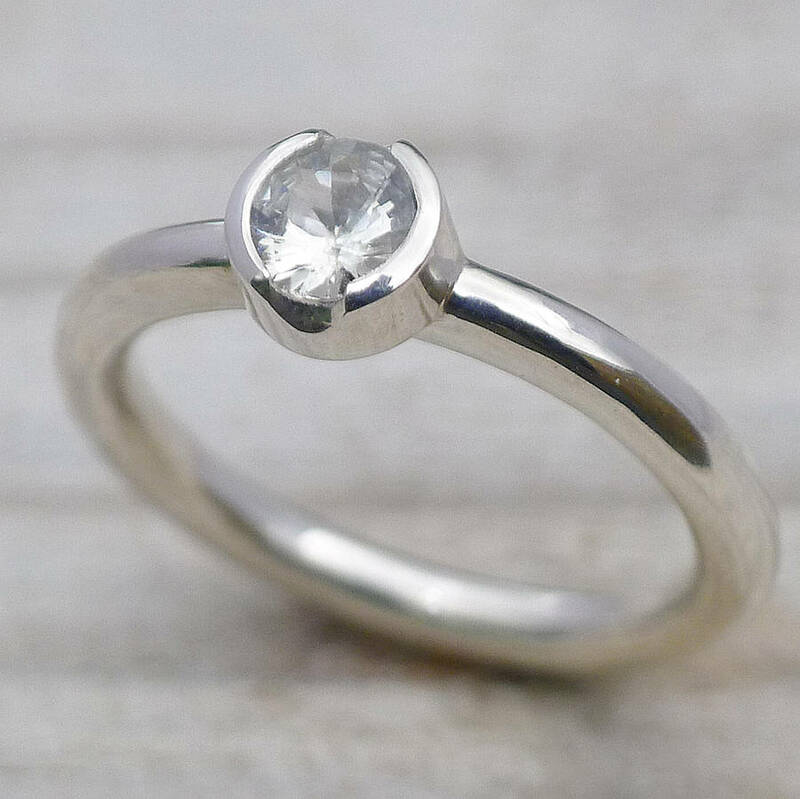 White sapphire can be man-made using the Verneuil process, or flame fusion which uses molten alumina that’s allowed to solidify into a single crystal known as a boule. In the case of the white gemstone, no pigment would be added to it. Unlike colored sapphires, colorless sapphires are not heated to deepen their color, but they may be heated to remove inclusions. White sapphires with asterisms may be treated to bring out the star effect. A dealer should always tell a customer if the white gemstones have been treated. Sapphire is a stone of wisdom, with each color bearing its own wisdom. White gemstones bring very pure energy. It opens the crown chakra and connects the person to cosmic consciousness. It removes obstacles to a person’s spiritual path and helps them discover their life’s purpose. The gemstone brings calmness and focus to the mind and allows the wearer to experience joy and appreciate beauty. It is a symbol of unconditional love and is an excellent stone for lovers who have had to endure great difficulty to be together. It also allows people to consider the remarriage of their former husband or wife with equanimity. White sapphire is a stone that encourages sagacious leadership, especially in female leaders. It supplies energy to people who are working to make a vision reality. Sapphire is also the September birthstone. Most of the famous sapphires are some shade of blue, orange-pink like padparadscha sapphires or even black like the Black Star of Queensland, but the modest beauty and much more modest price of white sapphires are making them more popular. White sapphire has the same use as a diamond. It is set in bracelets, necklaces, rings and earrings. It is becoming a popular stone for engagement rings and is often set with other gems that contrast with its colorlessness such as smaller garnets, emeralds or even colored sapphires. White sapphires are cut the same way that diamonds are. These cuts include round brilliants, emerald and other step cuts, princess, radiant, marquise, oval and cushion cuts. Generally, a white sapphire will have less sparkle than a diamond of similar cut, shape and carat size. Some jewelers describe the light within a white sapphire as “milky,” or “cloudy.” It does not display the sparks of rainbow color that are required of a high-quality diamond. Though it seems that only one point separates a diamond and white sapphire on the Mohs scale, a diamond is actually four times harder than corundum. Because of this, the white gemstone is more susceptible to scratching than a diamond, which can only be scratched by another diamond. Unlike diamonds, the Gemological Institute of America does not grade colored or even white sapphires for cut, clarity, color or carat size. A report on a white sapphire only describes these attributes. Whether a white sapphire is bought depends almost entirely on the buyer’s preference. Treat the white sapphire with care, especially if it has a lot of inclusions. Gem quality white sapphires are found in Africa, especially Nigeria, Kenya, Mozambique, Madagascar, South Africa and Tanzania. They’re found in Myanmar, Australia, India, Thailand and the United States, especially the state of Montana. The river gravels of Sri Lanka are famous for producing sapphires of all colors. Information about white gemstones is available online, at libraries or museums that specialize in natural history or mineralogy. People who wish to buy a white sapphire gemstone should examine the stone in person. This is especially important since these gems are not graded. There are some on-line dealers that allow the prospective buyer to digitally examine the stone in three dimensions, but it is not the same. Hey Buddy!, I found this information for you: "White Sapphire – The Bluish Tint of Another Kind of Diamond". 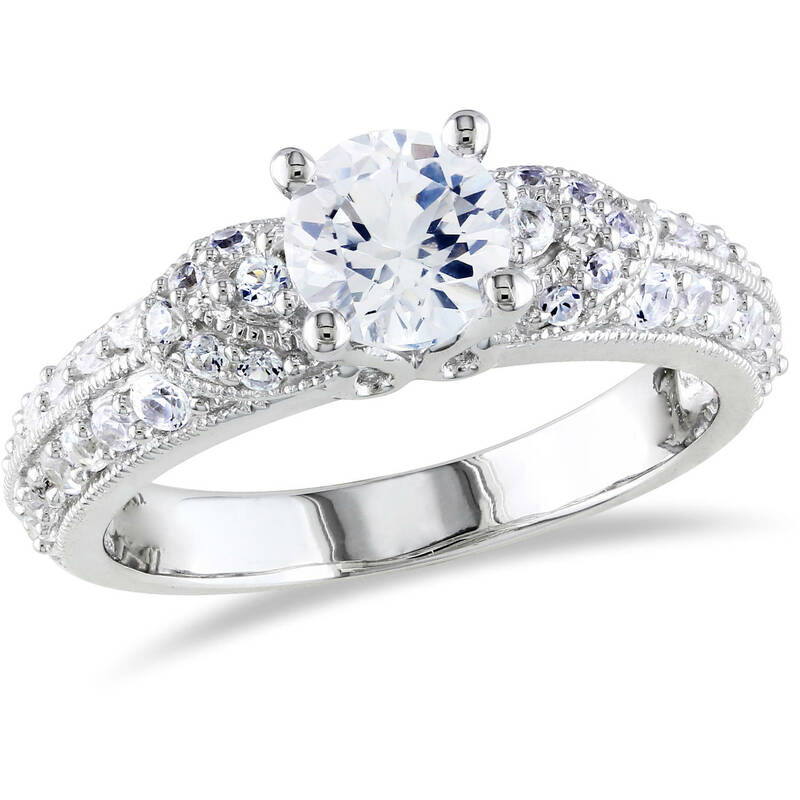 Here is the website link: https://accessgems.com/white-sapphire/. Thank you.